The VIX Is Back To Pre-Crisis Lows. Does It Matter? The CBOE Vix Index is a popular measure of the implied volatility of the S&P 500 index options, calculated and published by the Chicago Board Options Exchange. The Sky – Is It Falling? 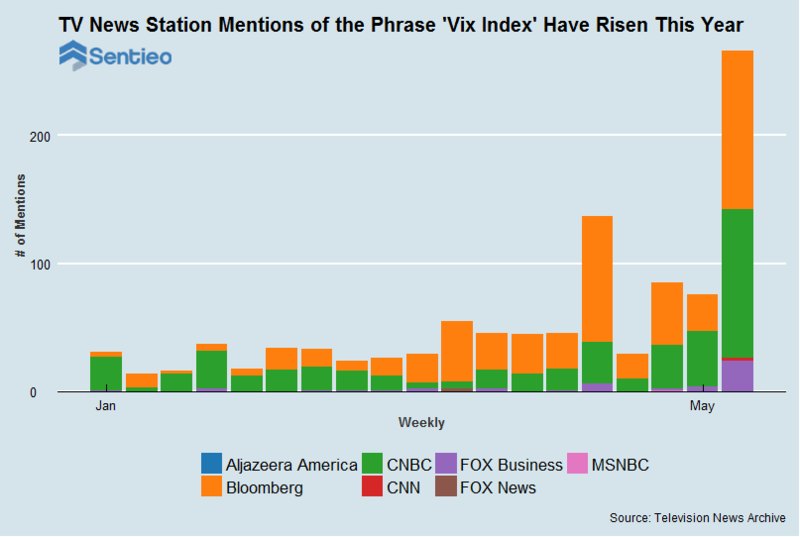 If you watch major business news channels, you may have recently heard that the last time the VIX fell to its current low coincided with the beginning of the Great Financial Crisis of 2007-2008. It’s a sensational storyline. 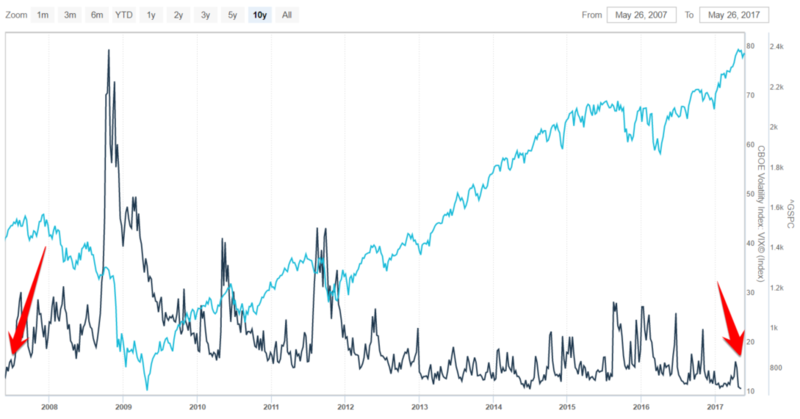 Shown below is a chart from the Sentieo platform with the S&P 500 Index (^GSPC) in light blue and the VIX Index in black. The chart shows that the VIX has recently moved down to levels not seen since right before the financial crisis in 2008. At the same time, the broad stock market appears unconcerned. It’s a sobering historical comparison and, based on this data point alone, one might think that the S&P 500 Index is on the brink of sailing right back into the Bermuda Triangle of finance. But does television chatter of a potential stock market selloff – premised solely on exceptionally low volatility – square with reality? Fortunately, quick use of the Sentieo Plotter function shows that while the VIX and the S&P 500 do trade inversely, low volatility by itself is not at all a good predictor of stock returns. The following is a regression analysis run using the Plotter function in Sentieo comparing the VIX Index vs. the S&P 500. 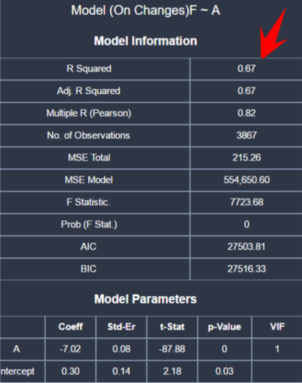 The r-squared is 0.67, and the coefficient is a healthy -7.02. In fact, the VIX Index has a -0.82 correlation with the S&P 500 over this time period (of course, higher volatility is almost always associated with lower stock returns). 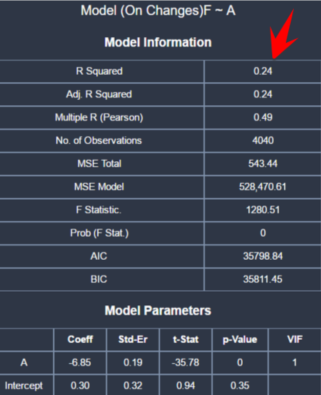 S&P 500 and VIX Index Regression analysis in Sentieo Plotter. One way to test the significance of volatility on forward returns is to lag one of the data series and re-run the regression with the lagged series. 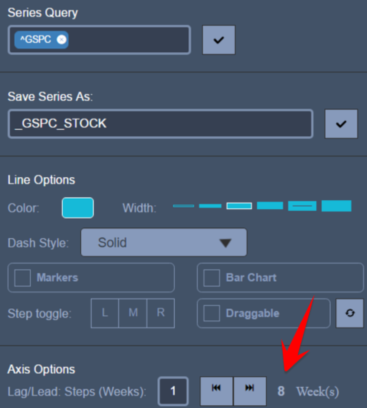 Fortunately, this is easy to do in Sentieo’s Plotter: We simply lag the S&P 500 returns, as shown, using the “Axis Options” feature. In this case, we’re lagging by a positive 8 weeks as shown. Now when we re-run the regression we will see if a change in the VIX Index is associated with an 8-week-later change in stock prices. Axis Options: add 8 weeks to the S&P 500. The result? 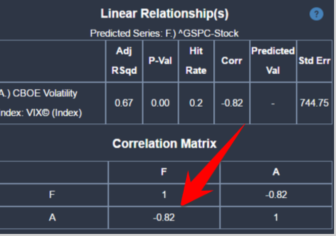 After comparing the VIX Index with the following 8 weeks’ returns of the S&P 500, the R-squared between the two series actually drops from 0.67 to 0.24! That is to say, based on this sample, that, while a significant coincident indicator of stock returns, the VIX Index is not a future indicator of returns. Tune out the TV chatter. Try Sentieo and do your own homework. It’s a great headline, but the analysis here suggests the VIX does not foretell another crisis. Sell In May Has Gone Away? With the S&P up 7% year to date, is it time to sell in May and go away? It’s an old Wall Street adage, and the data appear to bear it out. Since 1950, the S&P has returned 3.4% on average for the year up to April, while returns from June to October have averaged only 0.9% over that time. However, over the last five years, the dynamics of the monthly seasonal trade have not only changed but have become even more pronounced. 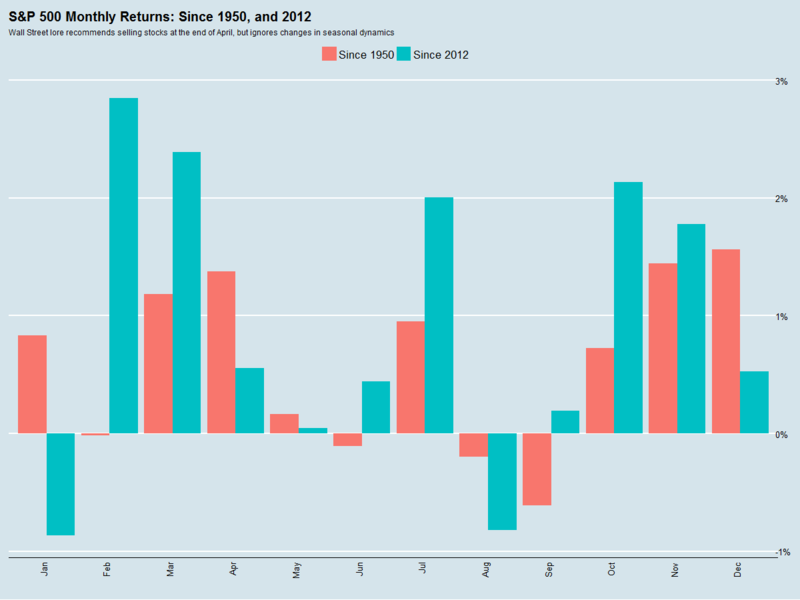 Beginning in 2012, January to April returns have averaged 4.9%, similar to the full series from 1950, but June to October returns have also averaged a healthy 3.95%. Most notably, July has emerged as a very strong month, and June has turned from negative to positive. Also of note, the seasonal weakness in September has pulled forward into August. This analysis suggests that August, not May, is the real bogeyman for investors. Another way to come to the same conclusion is to look at the average returns of the CBOE VIX index shown below.